The VA7800 Series Linear Electric Vavle Actuators control VG7000 Series valves, 1/2" to 2", providing 180 lb of force. These actuators may accept a variety of controls signals based upon DIP switch position, spring return and non-spring return. They require a source of 24VAC for power. NECC also provide many linkage options and mechanical accessories. Consult with your NECC support person to find the best solution for your application. 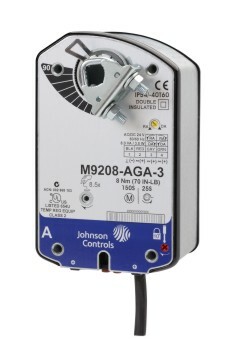 Johnson Controls medium & heavy duty non-spring return actuators provide control of dampers and valves with enough torque to get the job done.Our selection chart helps you find the correct power, control, feedback and switching to suit your application. NECC also provide many linkage options and mechanical accessories. Consult with your NECC support person to find the best solution for your application. 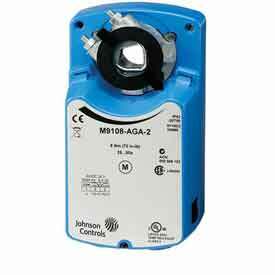 Johnson Controls medium & heavy duty spring return actuators provide fail-safe control of dampers and valves with enough torque to get the job done.Our selection chart helps you find the correct power, control, feedback and switching to suit your application. NECC also provide many linkage options and mechanical accessories. Consult with your NECC support person to find the best solution for your application. 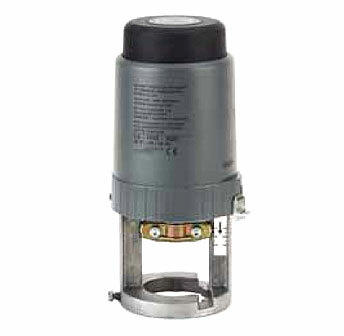 Johnson Controls light duty spring return actuators provide fail-safe control for small dampers and valves, employing just enough force to get the job done. Our selection chart helps you find the correct power, control, feedback and switching to suit your application. NECC also provide many linkage options and mechanical accessories. Consult with your NECC support person to find the best solution for your application. 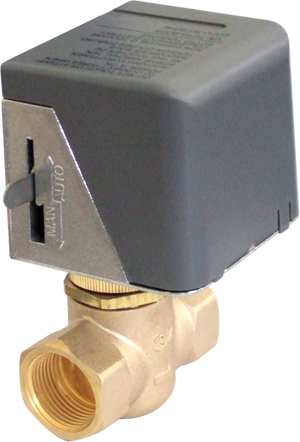 The VA-7010 Series Electric On/Off Actuators provide two-position control and can be easily field mounted with a threaded coupling onto VG5000 series valves. A lever at the side of the actuator housing can be used to open the mounted valve manually for servicing. For more information consult with your NECC support person at 800-227-9800. 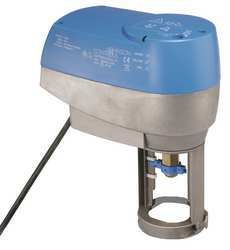 The VA-7450 Series Electric On/Off Actuators provide on/off-floating or proportional control and can be easily field mounted with a threaded coupling onto VG4000 and VG5000 series valves. Refer to the factory specification sheets for installation instructions and application information. For more information consult with your NECC support person at 800-227-9800. The VA-715X Series synchronous motor-driven actuator provides incremental and/or proportional control of valves with up to 3/4" stroke. These non-sring return electric actuators have a 90 lb. force output for on/off-floating or proportional control.Adaptor kits are available for the application of these actuators to various maunfacturers' valves. For more information consult with your NECC support person at 800-227-9800. The VA-720X Series synchronous motor-driven actuator provides incremental and/or proportional control of valves with up to 3/4" stroke. These non-sring return electric actuators have a 180 lb. 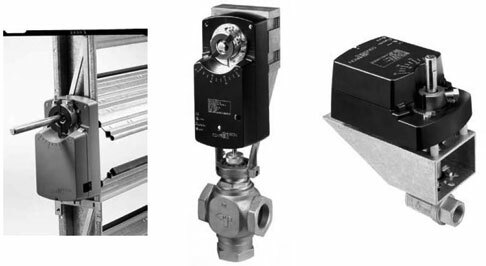 force output for on/off-floating or proportional control.Adaptor kits are available for the application of these actuators to various maunfacturers' valves. For more information consult with your NECC support person at 800-227-9800. 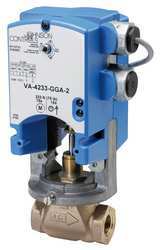 The VA-6100 Series Electric Valve Actuators are used to control VG2000 series cast iron flanged valves. These non-sring return electric actuators have a 1,350 lb. force output for on/off-floating or proportional control. They require a source of 24VAC power. 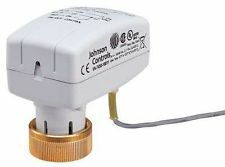 The VA-4233 Series Electric Valve Actuators us a stepper motor to accurately position controls valves in HVAC applications.The actuators provide a minimum 61 lb force output to operate Johnson Controls valves form 1/2" to 1-1/4". VG7000 seres bronze control valves require no additional linkage to utilize these actuators. These actuators are powered by 24VAC/DC and their direction of action is switch selectable (stem up or stem down). Spring return action is stem up. 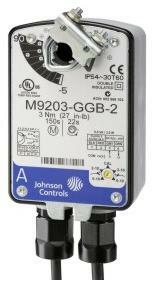 Johnson provides a variety of linkage kits and adapters for use with their M9000 series actuators. 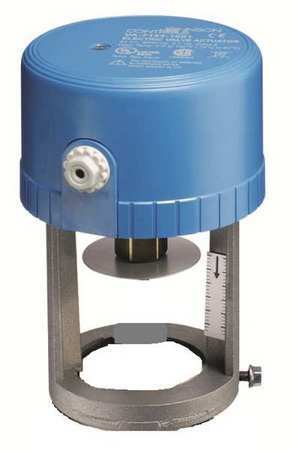 Kits are available for internal, external and remote damper mounting, as well as valve mounting. Ask your NECC sales support person to help you select the proper kit for your application.